Fresh Rice Noodles are delicious in a stir-fry. I love how simple and easy a basic rice noodle stir-fry can be for any cook. 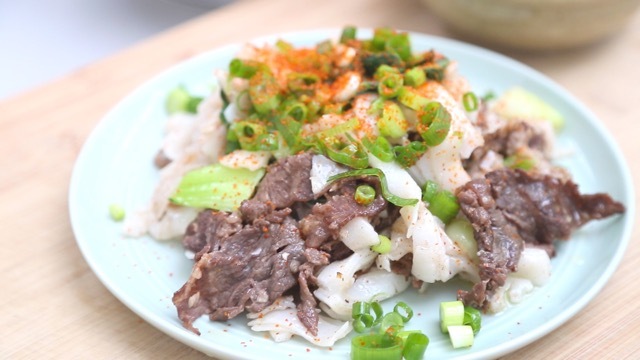 Using only 3 main ingredients, my beef rice noodle dish is sure to please. While I use thinly sliced hot pot meat (aka sukiyaki beef) and baby bok choy, you can also substitue this with any other vegetable or protein you have on hand. 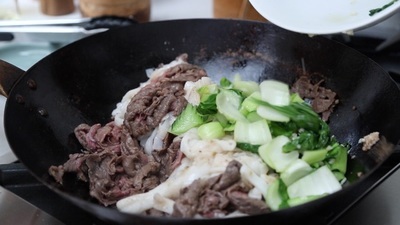 This recipe is my take on a traditional Cantonese dish I love called 乾炒牛河 or Beef Chow Fun. The difference being slightly different ingredients (thicker slices of beef and bean sprouts) and the addition of a soy/oyster sauce. While I love both dishes, I think mine is a good alternative for those who want to keep things simple and like their noodles a bit spicy. RICE NOODLES TIPS: Rice noodles are best cooked fresh so try to buy them the day you plan on cooking. If not, it's okay to refrigerate or freeze them, however refrigeration will harden the noodle texture. You may need to defrost lightly in the microwave to allow the noodles to soften up before using. Gently separate the rice noodles and set aside on a plate. 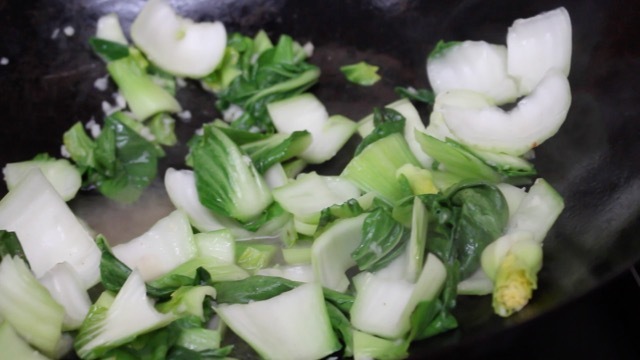 Prepare and wash the baby bok choy. 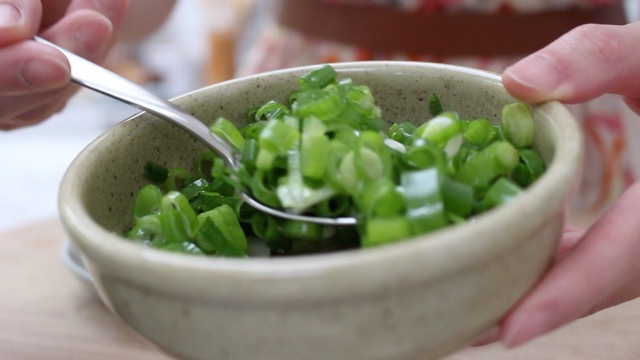 Chop your green onions and set aside in a bowl. Peel and mince the garlic cloves and set aside in a dish. Pre-heat your wok and stir fry some minced garlic before adding the noodles. Feel free to add more oil to the pan (as needed) to prevent the noodles from sticking. Remove and set aside. Cook your bok choy with the garlic and a small amount of water and set aside. Serve on a plate and garnish with green onions (toss them with a bit of olive oil and sea salt) and also some Ichimi Togarashi.